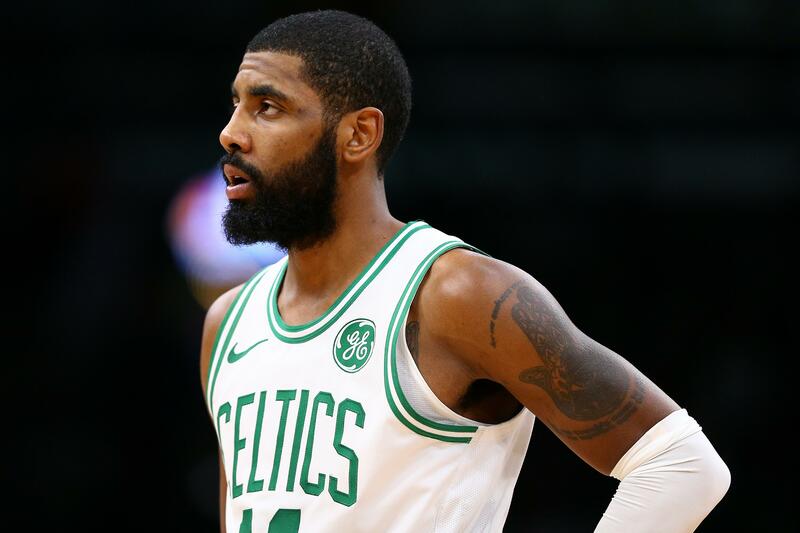 Kyrie Irving Injury Update: How Long Will The Boston Celtics Star Be Out? The Boston Celtics potentially took a serious hit to their chances to compete in a tight Eastern Conference race on Saturday night with a knee injury to point guard Kyrie Irving. Fortunately for the struggling Celtics, it seems Irving will be fine sooner rather than later. An MRI revealed Irving suffered a knee strain against the Los Angeles Clippers. The star guard is day-to-day, so he should not miss any serious time as the Celtics try to improve their record in the Eastern Conference standings. Irving left the game after hurting his knee on defense in the first half against the Clippers. Boston was up by 28 before the play; without him, they gave up their huge lead and ended up losing by 11 to a team that just traded its best player in Tobias Harris. Irving had 14 points in 14 minutes prior to the injury. The Celtics have struggled a bit lately even with Irving in the lineup. Prior to the loss to the Clippers, they gave up a big lead against an LA Lakers team that had been rocked by Anthony Davis trade drama. Former Celtic Rajon Rondo made a stunning game-winning jumper to complete the comeback. Boston is merely fifth in the east right now after taking the conference finals to seven games a year ago. The return of Irving and Gordon Hayward from injuries, along with the young core that made the playoff run last year, was expected to catapult them to the top of the conference. Instead, other teams have passed them by at this point in the season. Irving could potentially leave the Celtics after the season, too. Rumors have suggested he will opt out of his deal with the Celtics and go to the New York Knicks next year.